Now that US Thanksgiving has passed, we are really heading into the Christmas season. Everything around us seems to remind us that Christmas is coming–the dull weather, the cold temps, and the Christmas music blaring from store speakers. For many of us, December is not so much a high point of Christian joy but of spiritual despondency. This may be the result of holiday overwhelm, the shortcomings we realize within ourselves through the Fast, family dysfunction, financial struggles, or the grief that the idealism of this season may stir up. If this sounds familiar, it may be a good time to stock up on practices and tools to combat despondency and re-turn ourselves to Christ. 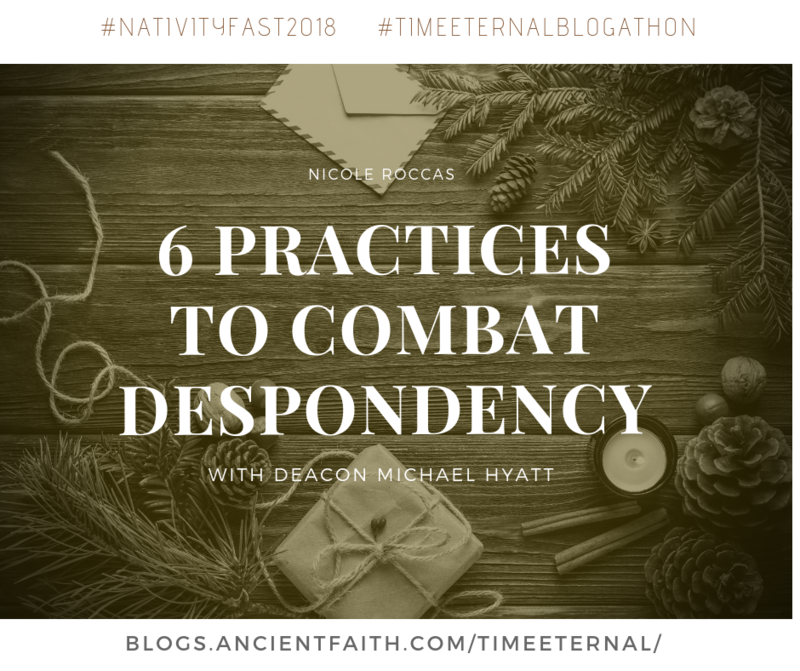 Deacon Michael Hyatt has just finished up his podcast series on Time and Despondency, and while all the episodes were good, I think he brings a lot to my book in his discussion of its more practical elements. Even if you haven’t read the book, I encourage you to download these episodes and keep them handy for easy listening as we head into December. It’s never too late or too early to learn how to combat despondency! 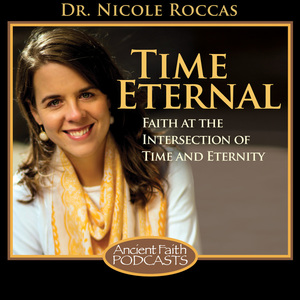 In these episodes, Deacon Michael highlights six strategies over the course of three episodes (these strategies can all be found in Chapter 7 of my book). I’ve also included the final episode of the series which wraps things up. Happy listening, reading, and combatting!